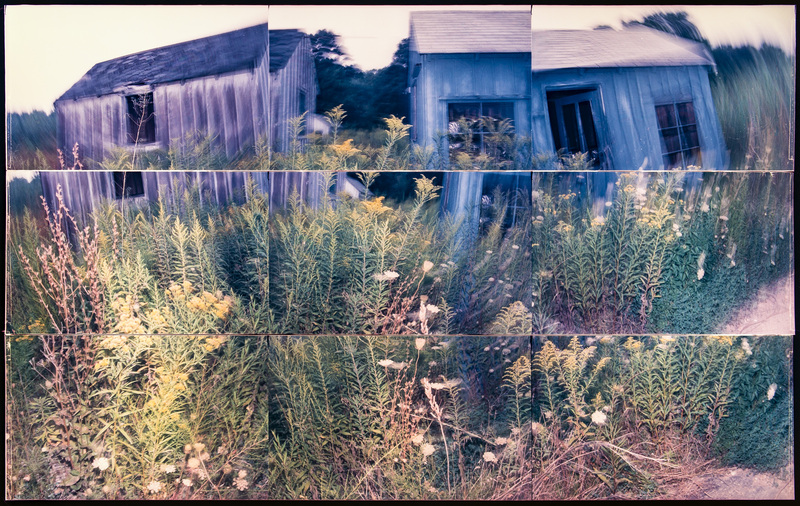 UNTITLED SKETCH, GREENPORT 1986 is an analog photo collage shot on color negative film. Composed of nine separate 35MM exposures, the strips of film are straight out of the camera, trimmed and taped onto a glass negative carrier, and enlarged onto color chromogenic paper. Exposed with an Olympus OM-1, which I had specially modified to eliminate the spacing in between frames. Photographed with long exposures using a flash, to create a frozen/motion painterly effect.